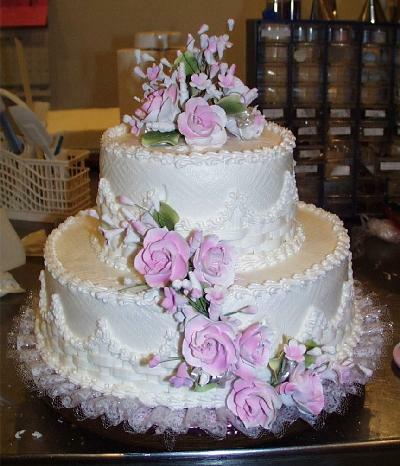 We can arrange the best wedding cakes for the most important day in your life. Prices for any part of our Cyprus wedding package, or for its entirety, will be sent to you once we assess your needs. 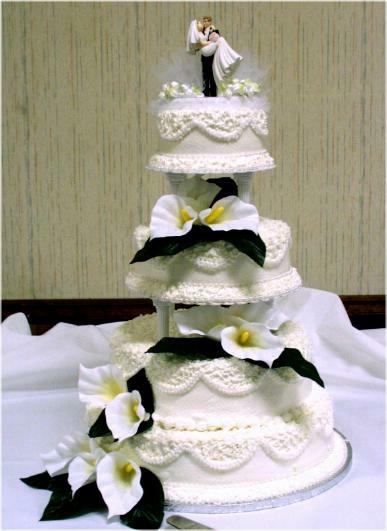 2 beautiful tiers for a small wedding or bridal shower. 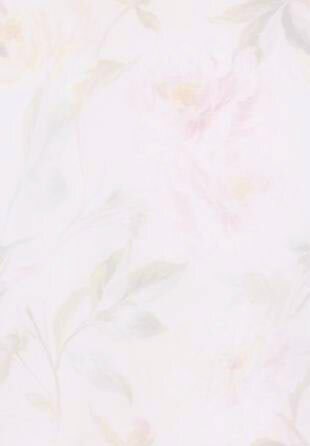 Accented with gumpaste flowers, airbrushed the color of your choice. Bottom tier will serve 60 guests. 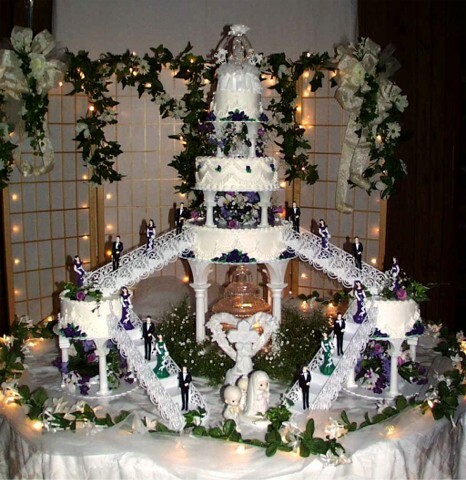 This lovely 3 tier cake will serve 150 guests. 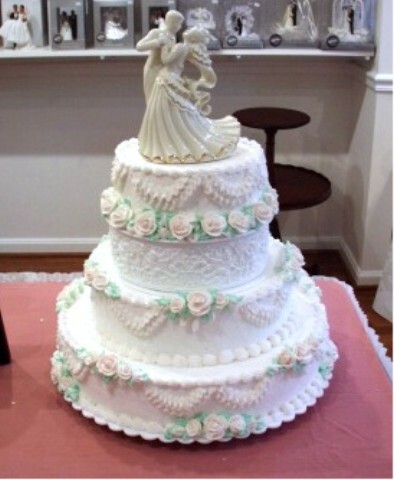 The top tier is lifted up with a "divider" - etched with cupids and roses and made of Resin. This one serves 200 guests. Or your florist can provide fresh. Cake is done in lacey work with pearl trim.